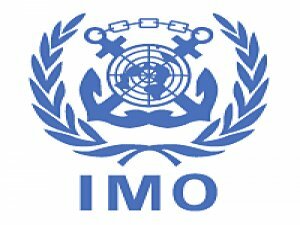 International Maritime Organization (IMO) the Global Environment Facility (GEF) and the United Nations Development Programme (UNDP) have signed an agreement to allocate US$2.0 million to a two-year global maritime energy efficiency partnership project. The so-called GloMEEP project, formally designated “Transforming the Global Maritime Transport Industry towards a Low Carbon Future through Improved Energy Efficiency”, will focus in particular on building capacity to implement technical and operational measures in developing countries, where shipping is increasingly concentrated. The aim is to promote a low-carbon maritime sector, in order to minimize the adverse impacts of shipping emissions on climate change, ocean acidification and local air quality. A particularly interesting aspect of the project is its expected role in catalysing an innovative public-private sector partnership within the project framework, through a new Global Industry Alliance (GIA) for maritime energy efficiency. Participation is anticipated from leading private sector companies, including classification societies, ship builders, ship owners, ship operators, marine equipment suppliers, port operators, and marine consultancy and management system providers. IMO will execute this GEF-funded GloMEEP project in partnership with UNDP. Ten IMO Member States have signed up to the GloMEEP project as lead pilot countries: Argentina, China, Georgia, India, Jamaica, Malaysia, Morocco, Panama, Philippines and South Africa. The lead pilot countries will be supported in taking a fast-track approach to pursuing relevant legal, policy and institutional reforms, driving national and regional government action and industry innovation to support the effective implementation of IMO’s energy efficiency requirements. Besides the GEF financing for GloMEEP, other funds will be mobilized in the form of in-kind and financial donations, to a projected total of some US$13.8 million. A number of events related to the implementation of the GloMEEP project are expected to be held alongside the two-day inaugural Future-Ready Shipping 2015 Conference, the joint IMO-Singapore International Conference on Maritime Technology Transfer and Capacity Building, to be held in Singapore on 28-29 September 2015. The conference will gather maritime leaders to discuss ways forward in encouraging the uptake of energy-efficient ship technologies. It is envisaged that the official launch and commissioning of the GloMEEP project and associated global project task force and inception meetings will be held during and after the conference.